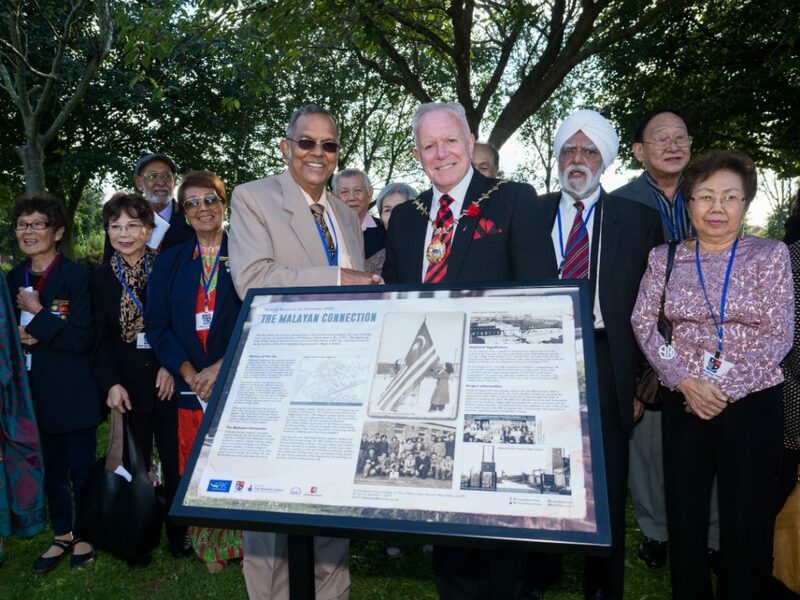 A delegation of VIPs from around the world have made a special visit to Knowsley in celebration of their historic connections with the borough and commemoration of the 60th anniversary of Malaya’s independence. A Malayan Teacher Training College (MTTC) was located in Kirkby from 1952 to 1962, and trained more than 1,300 young Malayans to teach in schools in their Malaya homeland (now Malaysia). It was on a visit to the college, on 7 February 1956, that the Malayan Government first announced to the world that Malaya would become an independent nation on 31 August 1957. Former student of the Malayan Teacher Training College in Kirkby, Dato V.L. Kandan, who officially unveiled the commemorative panel, with Mayor of Knowsley, Cllr Frank Walsh. 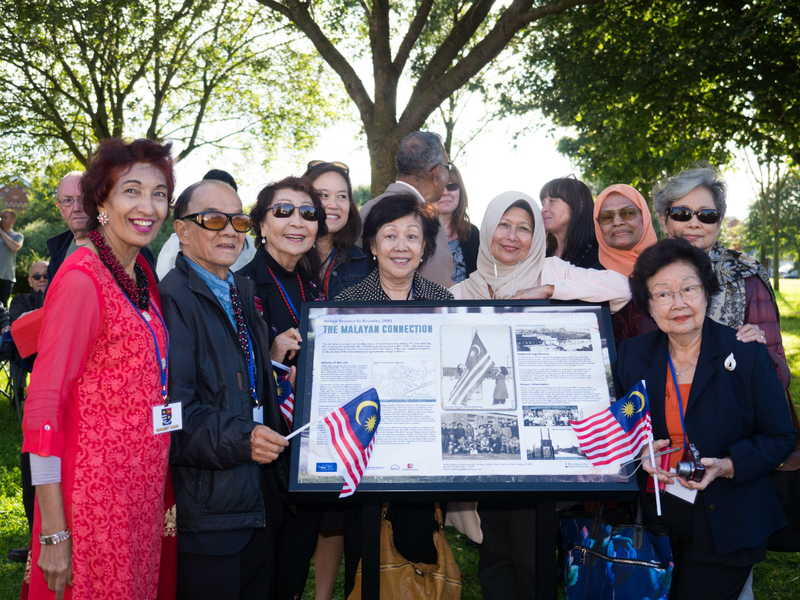 Sixty years later, on Thursday 31 August 2017, 38 former-students, who are now based in Malaysia and other parts of the world, returned to Knowsley to commemorate the anniversary of Malaya’s independence. 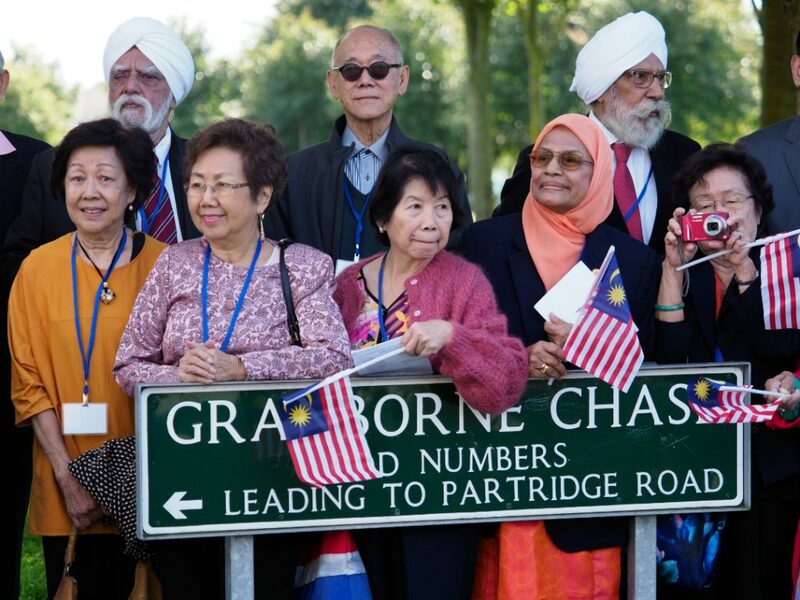 As part of the special trip the delegation visited the site where the MTTC once stood, in the area now known as Granborne Chase, and unveiled a permanent panel remembering the fascinating history of the site. The former MTTC students were joined at the event by local people who have been interviewed about their memories of the college as part of the Heritage Lottery Funded Archive Resource for Knowsley (ARK) ‘Malayan Connection’ project. Dato V.L. Kandan, who attended the college, officially unveiled the panel. “It has been wonderful to bring together the people from both sides of this fascinating story sixty years after it first began. “Local people have shared fond memories of the young, interesting trainee teachers who graced their classrooms and introduced them to a new culture and exciting new items including colourful garments and exotic foods. Delegates take a stroll across the site where the Malayan Teacher Training College once stood. 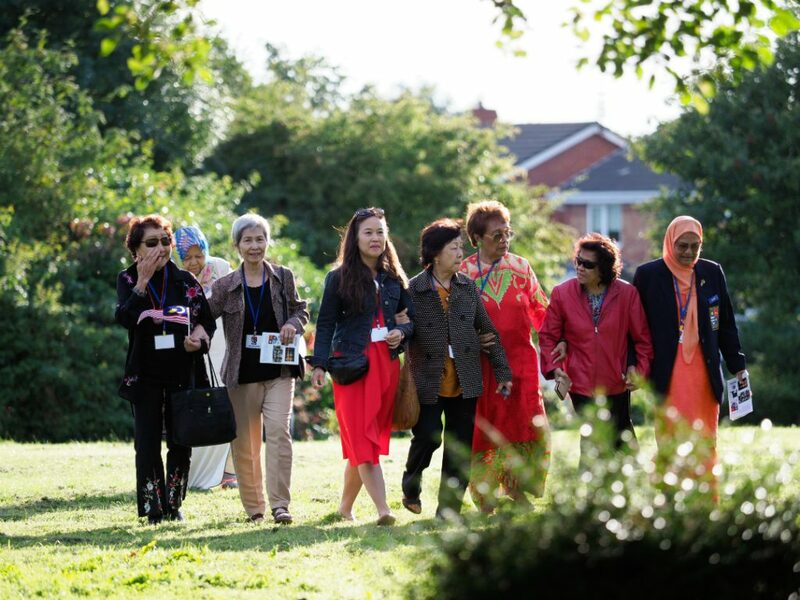 The delegation’s visit was filmed which, along with recordings of local people’s stories, will be screened within the ‘Malayan Connection’ exhibition in Kirkby Library from Monday 25th September and will run until 31st October.